Today I am again joining Gypsy Fish for the every popular Silver Sunday. Please check out her blog for a list of all the participants. I think this is the last of my silver. Last week I showed quite a few pieces that belonged to my mom and MIL. These are all pieces that were given to me. By far my favorite is the Anniversary Clock that the DH gave me last year for our 25th Anniversary, and he even had it engraved. I just love it. Salt and Pepper were given as a wedding gift. 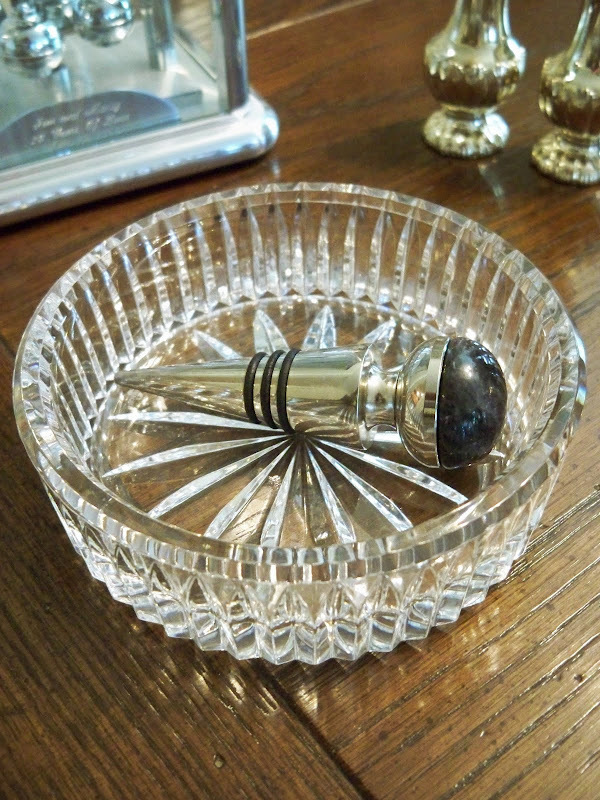 Beautiful crystal champagne or wine caddy with a gorgeous silver stopper. Candle holder that was another wedding gift. 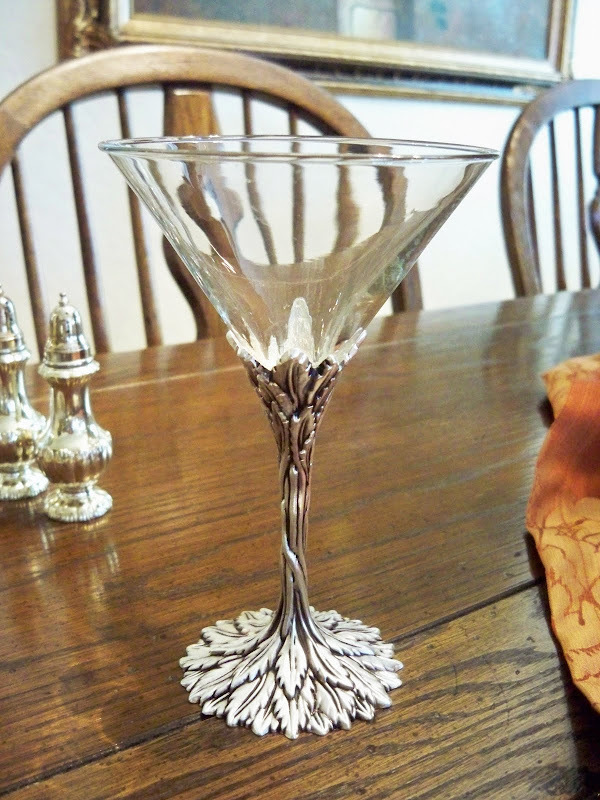 I love this pretty and so different martini glass. I hadn't ever seen one with a silver stem. I found it at GW, sure wish there had been more. I think it will be great for mints or a candle. Small candy or nut dish. Butter dish. I think I have used this for almost every occassion. I've always loved the pretty rose knob on top. That's it for the silver. Thanks so much for stopping by. I always look forward to your visits and comments. It makes my day. Happy Silver Sunday to you. I forgot all about it, somehow the second sunday of the month just snuck right on me. Your silver is all so shiny and pretty. I love it all. The clock is ultra fantastico! Hi Marty, the clock is just gorgeous, and what a sweet gift from your hubbs. Love the engraving. That glass with the silver stem is amazing, I haven't seen any of these either. 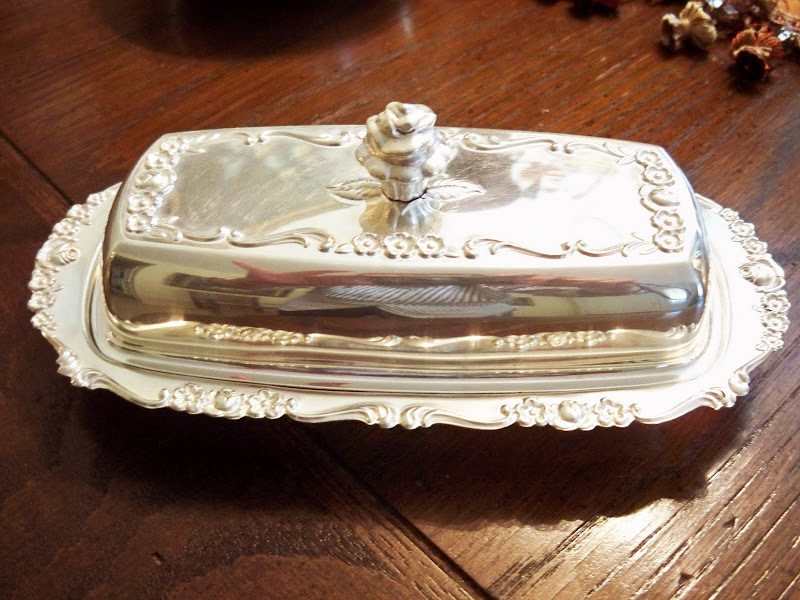 And of course the rose handled butter dish is so lovely. It definitely is a piece to enjoy using time after time. Have a wonderful Valentine weekend. 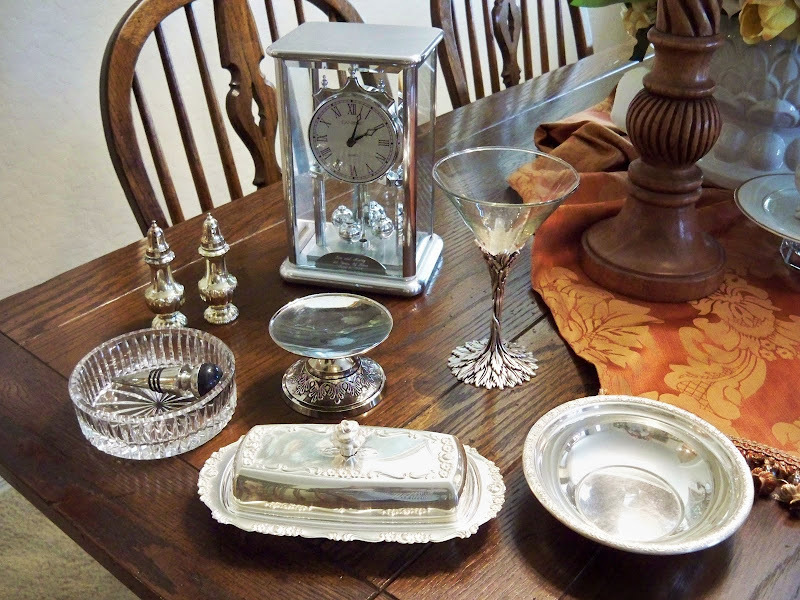 I do love the clock but I think my favorites are the martini glass and the butter server. Absolutely lovely! The clock is beautiful, Marty. your husband is very thoughtful and has wonderful taste. I love the unique martini glass as well! Another great GW find for you!! Hi Dear Marty! 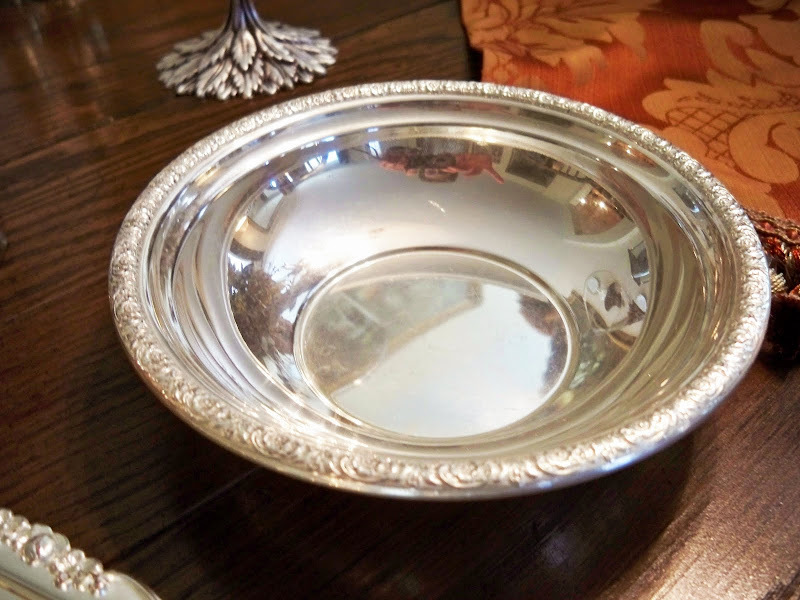 Oh, what gorgeous elegant silver pieces! The clock is beautiful and I know you cherish it since your love gave it to you! Oh Marty...that martini glass is fantastic....well, I guess you better go shopping at GW and find some more silver!! You don't want to miss out...at least you have a month to find something...Happy SS! Hi Marty, I am in love with everything you have pictured! And speaking of pictures, I HEART your wedding picture. You and your husband make an adorable couple. Happy Valentines Marty...That Martini Glass is out of this world!!!! You have such lovely pieces...I love silver! Sooo pretty...one question, where do you store all of this wonderful collection? Our home is over-flowing. Does the martini glass have any kind of marking on it to tell where it came from? I love it!! Marty, such pretty things. I love the butter dish. Just stunning. Your clock is so special...what a wonderful gift. I picture that martini glass full of strawberry jam on a beautiful breakfast table. Wow, that martini glass is gorgeous! I'd use it to drink oj or anything else ~ and feel very pampered! :-) All of the silver is beautiful and your hubby was very thoughtful having the clock engraved. You do have some incredible silver...thanks so much for sharing. More beautiful silver Marty! I love that covered butter dish...well I love it all actually! That is alot of beautiful silver!!!! Oh...wait...I don't drink martinis, but if I did, I'd love one in that glass! Your silver is all so lovely. 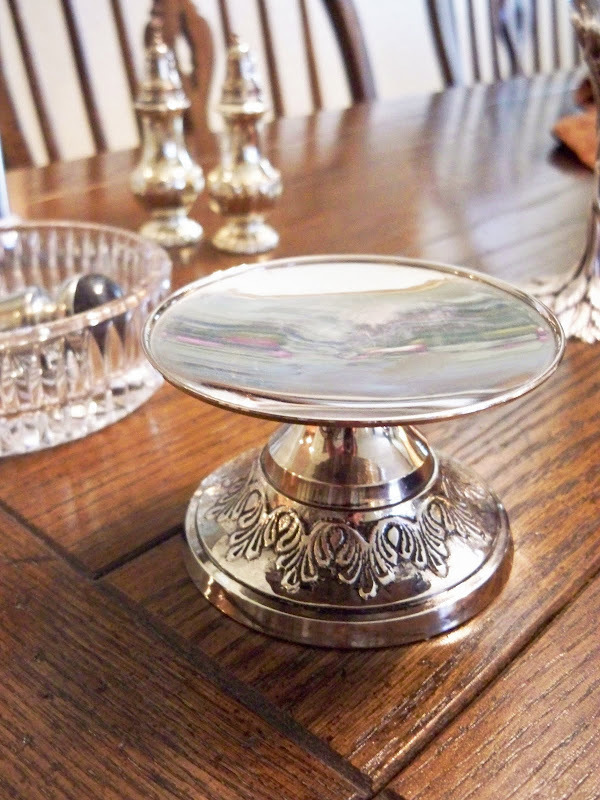 I just love using silver, especially the antique stuff. Wonderful silver pieces. The clock is such a romantic present. I love it! The salt and pepper shakers are really beautiful! Marty, thanks for sharing your beautiful shiny silver. Love those shakers! 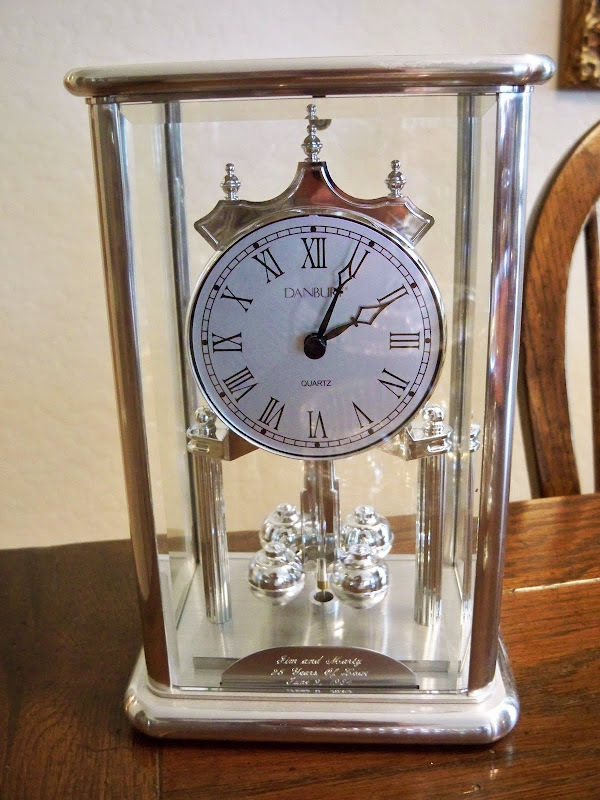 These are all so beautiful, but I love clocks, so good thing it's engraved or it could go missing! Boy can you take a great picture. All are such wonderful pieces. I especially like the clock. You have some awesome pieces here Marty! I totally thought silver sunday was done for the weekly thing and only once a month now. blessings and Happy Valentine's Day. PS Always love when I see you have come to visit. All of your silver is lovely. but, that martini glass is fantastic! So beautiful! 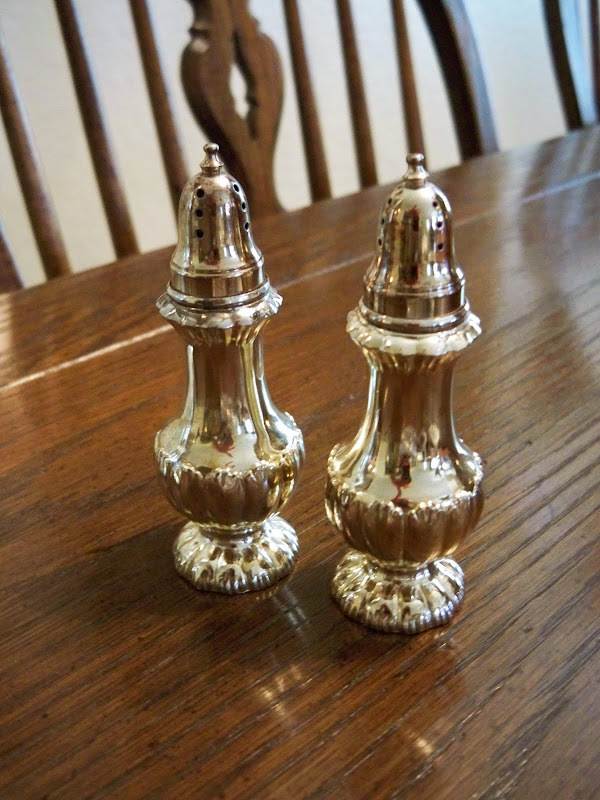 Your silver is beautiful, especially the salt & pepper shakers! Love it all abut REALLY love that martini glass! Silver delicious! Love that martini glass....Thanks for paticipating....see you next month! Such stunning, shining, spectacular, silver for second sunday of the month Silver Sunday. I was trying to see how many s's I could fit in. Thanks for sharing. They are beautiful. Gorgeous silver you've shared! I especially love the anniversary clock that hubby had engraved and gifted you with! How romantic!